The ISon 2016 will take place in Bielefeld, Germany, on December 16th 2016, with a satellite event on the 15th of December 2016. It is organized by the Cognitive Interaction Technology Cluster of Excellence (CITEC). 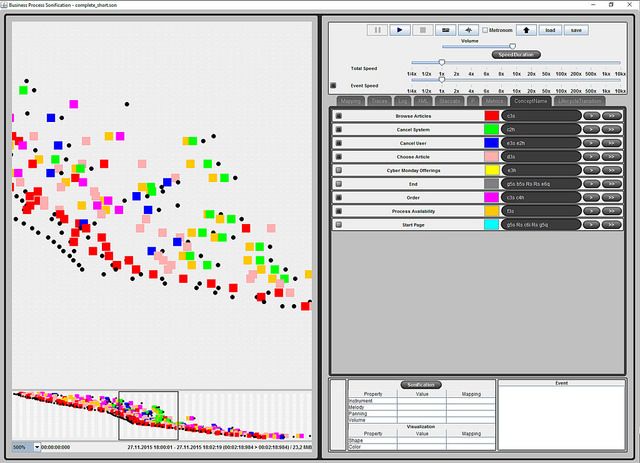 establish standards in Interactive Sonification. High quality will be assured by a peer-reviewing process, and besides an online publication in the Bielefeld University PUB data base we plan to also publish a special journal issue, as following the past ISon workshops (see IEEE Multimedia Special Issue on Interactive Sonification 2005, Springer Journal on Multimodal User Interfaces 2012 and IEEE Multimedia 2015). Andy Hunt, University of York, York, U.K.
An interactive session on Interactive Sonification in smart environments that takes place on the 15th of December 2016. A social dinner that takes place on the 16th of December 2016. On the 15th of December 2016, we offer four tutorial sessions on a variety of subjects. In these tutorials, participants will not only be able to learn about the interactive systems but also put in your sonification skill and design your own mini projects. 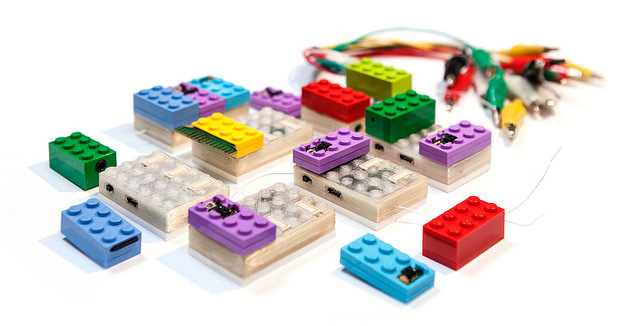 BRIX2 is a compact, modular Physical Computing prototyping platform. It allows users to easily attach different sensors and actuators to their computer or build completely standalone applications that sense the physical world and react to it. The BRIX2 kit consists of the base module as well as different extension modules which can be stacked onto the base module as easy as Lego®. With BRIX2, users are able to sense motion, orientation, temperature, humidity, light intensity and proximity. The system can generate real-time feedback and alerts in three different modalities: auditory, haptic and visual. Internal batteries allow for standalone applications and the BRIX2 RF interface enables users you to send data wirelessly from one module to another. In the BRIX2 workshop, participants will be able to try out the kit and develop their own applications. We will focus especially on using BRIX2 and its sensors as a data source for interactive sonifications. Prior knowledge and experience with Arduino, Microcontrollers and Electronics is appreciated, but absolutely not required. HoloR - short for Holographic Room is a stereoscopic, multi-person, multi-viewer, spatial projected augmented reality system, which enables applications to fade between different parts of the mixed-reality spectrum. In the workshop, we will explore the use of the movement tracking system, holographic display and sptial audio to design interactive movement sonification and other possibilities. The focus of this hands-on workshop is on the interactive sonification of body motion qualities. 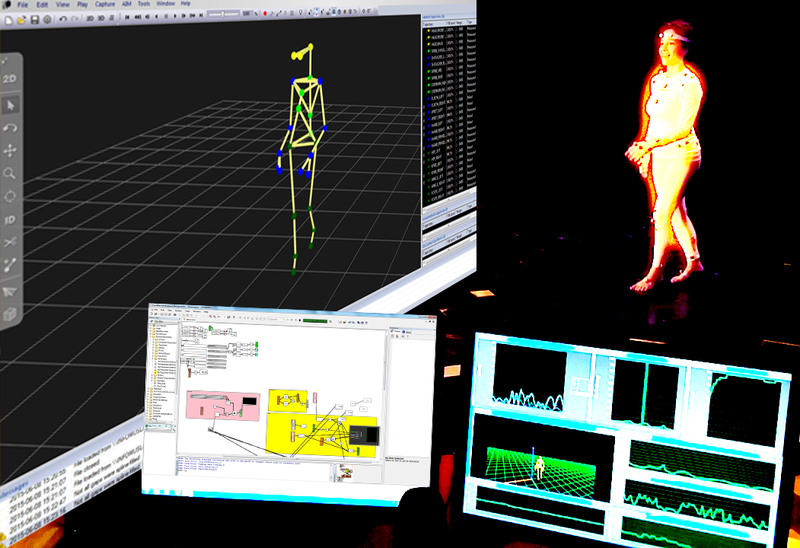 We will provide data from motion capture recordings of dancers moving with different qualities (e.g. fluid, rigid) in three different formats, videos, data files, and real-time streaming via OSC. At the end of the workshop participants will play their sonification to participants at the workshop. Business processes can take a variety of forms, e.g. for handling insurance claims, guiding and monitoring the steps that users take by browsing and ordering products on a webshop, or controlling the steps of an industrial production process. During runtime, for each performed process step a log entry is created. Depending on the domain and the nature of a process, hundreds of thousands or more of such entries can aggregate over the course of a day. With current means focused on machine learning and visualization it is sometimes difficult to analyze this data in order to detect patterns and trends, bottlenecks, anomalies, deviations and malfunctions or to derive other business-related information. We have developed a prototype that combines interactive sonification and visualization for the analysis of process event logs. In this session, you assume the role of a webshop owner who wants to analyze his/her accumulated process data with our tool. In the course of the session you will learn the structure and peculiarities of business process data, and how to analyze it. We will further think about the design of novel sonification and interaction techniques for this domain, which might also serve as inspirations for sonifications of other data of similar structure. The peer-reviewed publications will be published on interactive-sonification.org and with DOI on Bielefeld University PUB server. Participants are invited to extend their accepted papers to submit to a special issue of an international journal. For all the above categories please submit a 1-page extended abstract of the proposed paper by June 20th 2016 (extended to June 27th 2016, see important dates below). No template is needed for the abstract submission, but please do not exceed 1-page length, use A4 format, and submit PDF file only. Authors will be notified of eligibility for submission by July 15th 2016. Authors must submit their full paper (4 to 8 pages) before September 15th 2016 September 23rd 2016. Authors will be notified of acceptance by November 1st 2016. The deadline for camera-ready papers is November 15th 23rd 2016. Please indicate in the abstract if you intend to submit multimedia examples. Submission of videos/sounds is strongly encouraged. For each accepted paper, at least one author must register for the ISon 2016 conference prior to the author registration deadline (see important dates). Papers with no registered author on the author registration deadline will be removed from the workshop programme and will not appear in the proceedings. Contribution to the overall balance of topics at ISon 2016. After the reviewing process, accepted papers will be designated (by the Programme Committee) either as posters or as lectures. All accepted papers have the same status, assignment as poster or lecture is not indicative of the relevance or potential impact but on the type of content and way to better reach the intended audience. 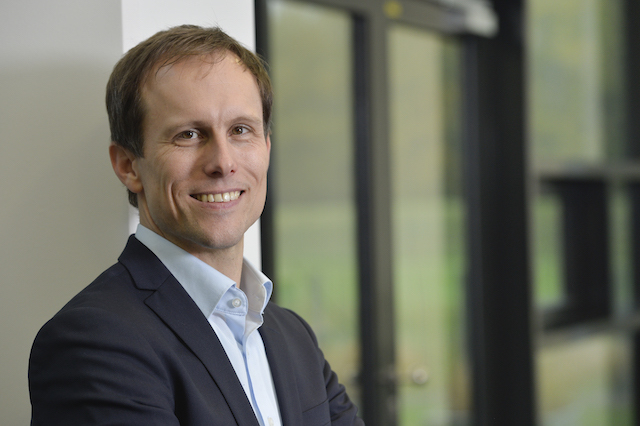 ISon 2016 will feature a keynote by Prof. Tobias Heed of Bielefeld University. Each of our sensory systems is uniquely built. As one consequence, space is coded in very different ways across vision, touch, and audition. Yet, in our everyday experience, we naturally experience touch, sound, and vision in one common 3D world. To achieve such consistency, the brain must transform between the senses's different spatial codes, and it has been a long-standing research aim to determine which spatial coordinate system is the brain's final coding form. I will present experimental results from the areas of multisensory integration and sensorimotor control that demonstrate that, contrary to the assumption of this traditional endeavor, the brain does not convert all input into a common spatial code, but instead entertains many spatial codes in parallel. Often, several such coding schemes are then relevant in a particular task, which can either greatly improve, but also potentially hinder performance. Therefore, spatial coding schemes of the different senses, and the brain's strategies to integrate them, place important constraints on sonification. Tobias Heed joined Bielefeld University in September 2016 as Full Professor of Biopsychology & Cognitive Neuroscience. He studied Business Administration in Stuttgart, Germany, before studying Psychology in Marburg an der Lahn, Germany. He received his PhD in 2008 from the University of Hamburg for research in the area of spatial tactile processing. In his early Postdoc years, he spent some time with Pieter Medendorp at the Donders Insititute in Nijmegen, Netherlands, to investigate motor planning for different effector systems. In 2012, he started his own research group in Hamburg, the Reach & Touch Lab, funded by the German Research Foundation's Emmy Noether program. His group's research focus, the integration of tactile processing with motor planning, as well as its development, continues to be the key interest of his new lab in Bielefeld. The maximum dimensions of the poster should not exceed ISO A0 size (maximum height = 1189mm, maximum width = 841mm). Posters will be hung in Portrait format. Specific technical requirements should be asked to the conference organization (enquiry@interactive-sonification.org) before December 1st 2016. The room will be equipped with a video projector (VGA connector), an audio output (stereo minijack), and a microphone. Presenters are encouraged to use their personal computers for presentations but a computer will be also available. Presenters should check their equipment in the break before their session and be available for chatting with the session chair. Specific technical requirements should be asked to the conference organization (enquiry@interactive-sonification.org) before November 25th 2016. Extended abstract deadline: June 20th 2016 => extended to June 27th 2016. Notification of eligibility for submission: July 15th 2016. Full paper submission deadline: September 15th 2016 September 23rd 2016. Notification of acceptance: November 1st 2016. Deadline for camera-ready papers: November 20th 23rd 2016. Deadline for early/author registration: November 20th 23rd 2016. Special technical requirements request: December 10th 2016. Satellite event: 4 tutorials / mini-workshops and lab tour: December 15th 2016. ISon 2016 workshop: December 16th 2016. Remember that, for each paper, at least one author must be registered for the conference by November 20th23rd 2016. If none of the authors is registered by this date, the paper will be removed from the conference proceedings. mid-morning and mid-afternoon coffee breaks on the 15th and/or 16th of December. Meals on the 15th and/or 16th of December. 1 ticket for the workshop get-together dinner on the 16th of December. 120€ non-student and student registrations. To register, please send an email to Susanne Strunk with Subject "ISon 2016 registration" providing your full name and the address to be used in the invoice. To facilitate our planning, please indicate in your email also whether you will join the informal get-together on December 14th (at 7p.m. at Nichtschwimmer Bielefeld), (google maps) and whether you participate to the ISon 2016 social dinner on December 16th in Pappelkrug Bielefeld. You will then receive the printed invoice while you're here in Bielefeld. As to the payment, we have the following procedures (for EU / non-EU members). - otherwise the money will not be routed to our account. Please pay the registration fee on-site. We apologize that for this on-site registration you can only pay cash, and we cannot accept credit cards. Please note that We are not able to organize any block-booked cheap accommodation. Participants will have to arrange their own travel and accommodation. We advise you to book accommodation early as it can be very difficult to find last-minute accommodation in Bielefeld. For those who arrive on Wednesday, we will meet for some food and drink at Nichtschwimmer restaurant at 7pm ((google maps)). You can either let us know in advance or just simply show up. We will be there at least for a few hours.